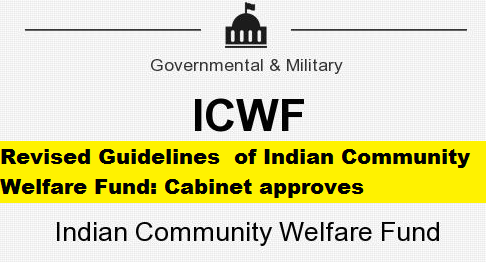 New Delhi, 19 July 2017: The Union Cabinet chaired by Prime Minister Shri Narendra Modi has approved revision of the Indian Community Welfare Fund (ICWF) guidelines. The revised guidelines being made broad-based seek to expand the scope of welfare measures that can be extended through the Fund. The guidelines would cover three key areas namely Assisting Overseas Indian nationals in distress situations, Community Welfare activities and Improvement in Consular services.